Through a recent report, it has been learnt that KU or University of Kansas, has interestingly blended blockchain with academics in multiple ways, thanks to Ripple’s UBRI, short for University Blockchain Research Initiative programme. In the latest conversation, Professor Perry Alexander throws light on the university’s approach with regards to deploying the XRP Ledger authenticator, its blockchain research linked to cybersecurity in association with the National Security Agency along with its distinct multidisciplinary projects in visual arts and biodiversity – all of which are a part of the professor’s aspiration of building promising entrepreneurs. According to Professor Perry, a study of the latest technologies such as blockchain plays a key role in shaping up tomorrow’s workforce as well as entrepreneurs. He has noticed that industries tend to excel in newer technologies when they hire manpower who has extensively studied such technologies and is more well-versed with its application and management. While Professor Perry was determined that blockchain is an interesting independent technology, it still requires effort from people across industry verticals for making it increasingly effective. For this, he cited an example of the cybersecurity work done by his very own department. It is a widely accepted fact that among the numerous primary security flaws found in the majority of systems, social flaw occurs more than the technological one. After all, there are more chances of an employee forgetting the password than the faulty technology. That’s where the incorporation of sociology appears important with regards to the utilization of blockchain for carrying out monetary transactions between people minus any third parties like banks. That is what has made the Professor thrilled about the opportunity to involve law, psychology, business, and additional schools in the University of Kansas’ blockchain work. An example of this multidisciplinary approach can be seen in Professor’s project through UBRI. This project has been started for testing how blockchain technology can extend support in controlling data access for the biodiversity teams. Although you may think that it’s critical to share your discovery about a new plant or animal, it is wise to refrain from it during the earlier stage, believes Professor Perry. That’s because sharing such information early on somehow risks the project and hence scientists resort to security controls for protection of their new discoveries. Through UBRI, the university has decided to sponsor collective research with biodiversity teams and blockchain for exploring blockchain-backed security protocols for the upcoming discoveries. For instance, if a Swiss and American team discovered a brand new insect, say in Mexico, then blockchain could be used to restrict the rights and access of this discovery only to the researchers and governments of these 3 involved countries. That means the same information will be kept confidential from every other country in the world. Demonstration of such ability will also make the investors confident and comfortable about funding a project. The UBRI has given a chance to KU for proving this concept. Professor Perry is pursuing fascinating cross-departmental research projects with respect to the blockchain. He is considering an exhibit on different blockchain visualization. By partnering with the team of visual arts, he wishes to reach out to people who are not into computer sciences and get them engaged and inspired by such technology. One more potential partnership between the Spencer Museum of Art at the university and the department could be of a system where artworks get catalogued utilizing blockchain technology. It can also include a few of the access control features of the biodiversity and blockchain project. Interestingly enough, the Professor has also approached English department colleagues for project ideas. He has even asked 2 renowned authors in the genre of science-fiction to envision through their writing a future that has prominent existence of blockchain. He is eager to see what they would bring to the table as they belong to a long-term thinkers’ group. The fact that university was engaged in a few blockchain projects already, got Professor Perry all the more excited about UBRI prospects and the reason behind it gaining a strong momentum quickly at the university. KU already has a team of students who are running a blockchain initiative, learning the technology actively even before this UBRI participation took place. Now, the professor feels that there would be more opportunities through added funding. 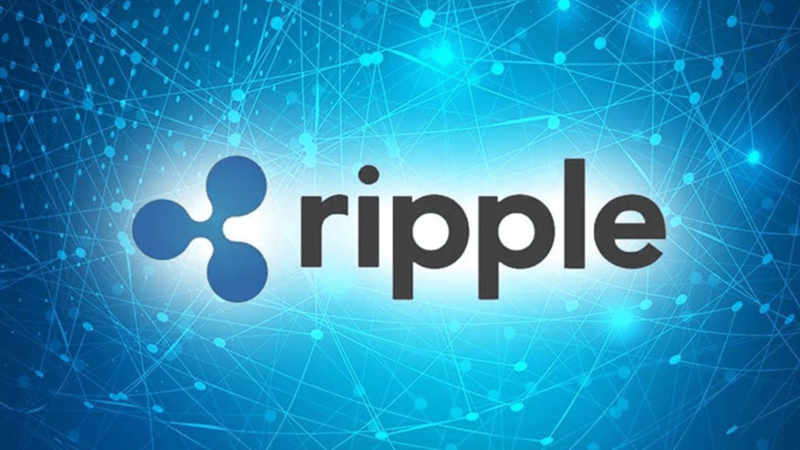 Before working on this UBRI grant, he along with his team had been working on setting up the XRP Ledger validator on campus for closely understanding the technology. Moreover, he was specifically enthusiastic about exploring blockchain utilization in this subject due to its huge potential of transferring cybersecurity responsibility from state level to community level. As a part of the UBRI initiative, KU plans to follow more work related to cybersecurity alongside the NSA. If at all that takes place, it will allow both students and faculty to get more practical experience with a validator. The Professor also thinks blockchain has plenty of offerings especially in the domains of network resiliency and identity, both of which are considered as fundamental cybersecurity components. While concluding, Professor Perry termed UBRI and Ripple as the game changers for KU. The Professor wishes to utilize the grant for exposing increasing numbers of students to this technology in innovative ways. He considers students as the best transfer mechanism for technology and states that by offering them such opportunities is the core reason why a university has existence. By exhibiting the possibilities of blockchain to students, he aspires to shape the upcoming generation so that they build the succeeding economy.